Whether you celebrate Thanksgiving or not, folks across Australia can pick up a travel bargain today thanks to airlines and travel companies slashing the price of airfares, cruises and holiday packages for Black Friday. 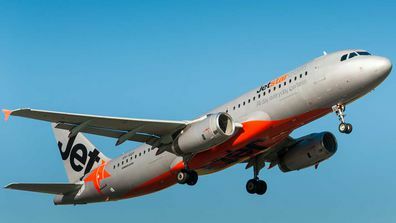 Jetstar is taking their Friday Fare Frenzy up a notch for Black Friday, offering huge discounts on international and domestic travel. Among the international bargains, are flights to Bali from just $149 or to Queenstown for just $139. Domestically, flights to Tasmania start from just $57. Jetstar’s Friday Fare Frenzy kicks off today at midday, and will run until 8pm AEDT. Keen on snagging some bargains? Keep reading for all the best airfare and travel deals you can score this Black Friday and holiday season. Tigerair is owning the domestic fare sales with a ‘Pay to go, come back for $1’ deal, running from 12pm AEDT, November 21 to November 23, 2018, with sale flights spanning its network of 21 routes. 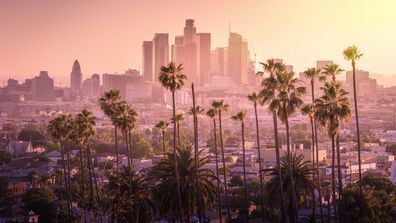 Virgin is slinging return economy flights from Sydney, Melbourne or Brisbane to Los Angeles from $1065, running from now until midnight on Saturday, December 9. Zip are offer an exclusive — 15 per cent off Tigerair flights when paying with Zip at checkout. Trafalgar is offering savings of up to 20 per cent on all Eastern Europe, Scandinavia and Russia trips. Insight Vacations is offering 15 per cent saving on all Spain, Portugal and Morocco trips for its 2019 Summer Sale. And, you’ll receive a further 20 per cent off if you’re a past Insight travellers. Book by Monday, November 26 to take advantage of the sale. 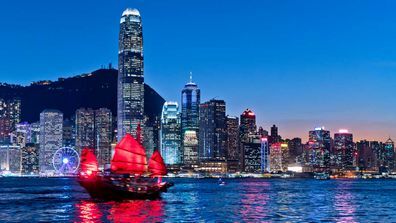 Webjet are offering up to $1000 cash back on selected tours, including Asia, the Middle East and Africa. STA Travel‘s Black Friday sale has a deal for every continent and mode of travel. Bag return flights to Europe for $699, USA from $799 return, and Japan from $499 return. They’re also slinging deals like 35 per cent off small group adventures, with G Adventures and 10 per cent off travel insurance. Contiki has a bunch of great deals available for Black Friday, as part of its Round the World Sale. Save up to 20 per cent off select USA, Canada and Europe trips, and 15 per cent off select Asia and East Africa Trips. 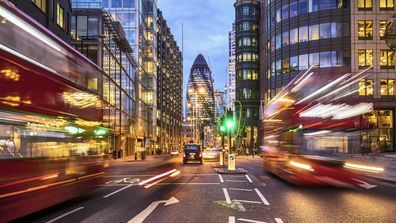 Busabout is offering 20 per cent off its new USA and Europe hop on, hop off pass — just use promo code “BlackFriday” at checkout. Luxury safari group andBeyond are offering a 20 per cent discount on selected cultural and wildlife itineraries for Cyber Monday. Embark on an intimate seven-day, conservation-focused safari through an African game reserve, staying in the breathtaking andBeyond Phinda Phuka lodge for $9645 — a saving of around $2400. Or explore Ecuador and the Galapogas on a seven-day journey, showcasing some of planet earth’s most stunning natural attractions, from $11,926 — a saving of almost $3000. P&O Cruises are offering a four-night round trip cruise from Brisbane via the Whitsundays, with fares for interior cabins starting from just $279 per person, quad share. Or enjoy some laughs aboard P&O’s comedy cruise with a three-night round trip from Melbourne, from just $249. Carnival Cruise Line has on offer an eight-day cruise departing Sydney for Melbourne, via New Caledonia from $949 for a Balcony Twin per person — that’s a saving of $550. 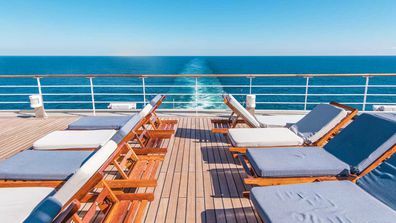 Luxury cruise brand Seabourn is running a signature savings event, which, depending on the voyage, may include incredible bonuses like complimentary upgrades, internet packages, deposit savings of up to 50 per cent and complimentary credits of up to $1300.